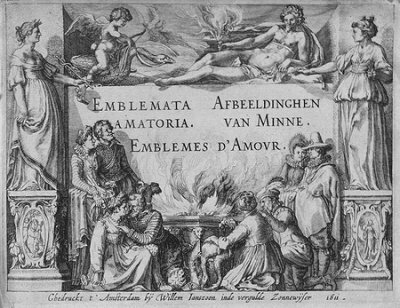 This is the opening page of our digital edition of Emblemata amatoria (1611), by Pieter Cornelisz. Hooft. In this edition you will find an editorial introduction, a concordance, full transcriptions, page facsimiles and indexes. The complete transcription used for our digital edition, can be found under this URL. The XML- and DTD-files can be downloaded after following this link. You will need an editor like Notetab to work with these files.